Glass doors provide safety. Doors keep small children and pets away from the fire. They also keep a smoldering fire safely contained when you go to bed for the night. Doors are economical. An open fireplace is like an open window. When left open in winter, warm air goes up the chimney – in summer, air conditioned air is lost. In both cases glass fireplace doors minimize the air loss and saves you money! Glass doors are a fashion statement! The fireplace is the focal point of any room. Glass doors dress up a fireplace and a room like nothing else! The style and color choices are nearly limitless! Which Doors are Right for Me? First, you must find out if you have a masonry or factory-built fireplace. Next, determine a style that will reflect your décor. Finally, determine your price range to find what’s best for you. 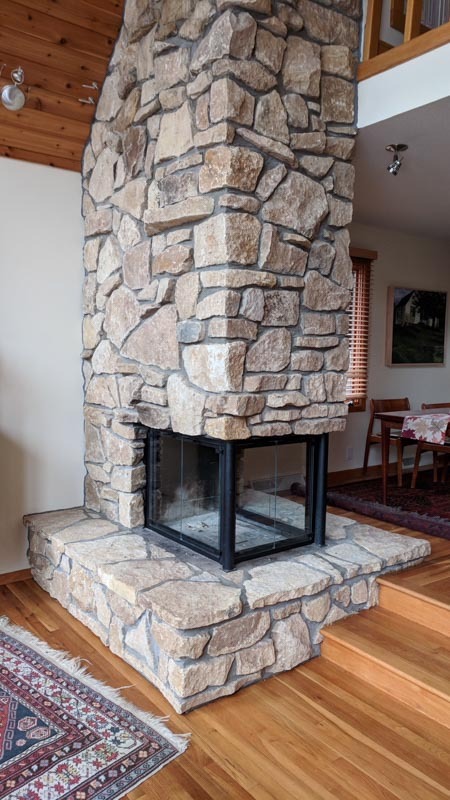 What is the difference between a Masonry vs. Factory-Built Fireplace? Factory built fireplaces are easy to spot. If your outside chimney is faced with the same siding material as your house, you have a factory built fireplace. Masonry fireplaces require brick or stone chimneys. You must also check the fireplace itself. If there is any metal around the fireplace, you have a factory-built fireplace. Factory-built fireplaces, also called “Zero Clearance” fireplaces, are designed to be built with very little clearance to combustible components of your home. They can do this because they have designed the fireplace so that cooling air insulates the hot firebox from the structure of the home. The glass doors must be designed to allow that cooling air to flow the way the firebox manufacturer designed it to flow. Gaps between the glass and frame vents exist on ZC doors to allow for this airflow. 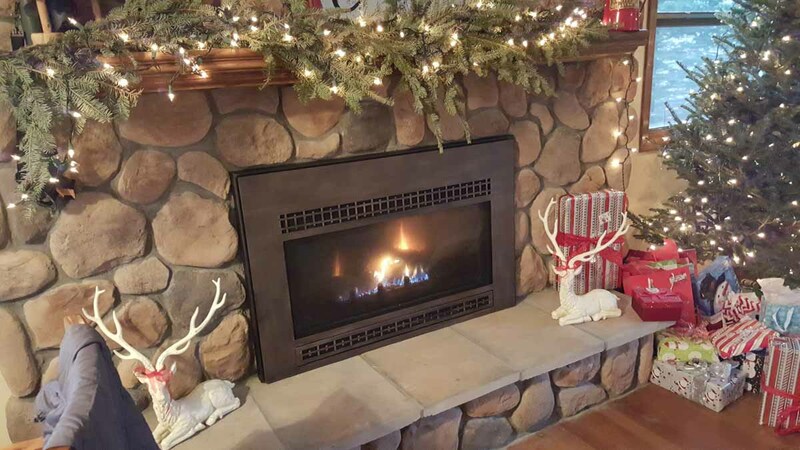 Masonry fireplaces can accommodate a variety of fireplace doors. Aluminum and steel doors are available in many styles and finishes to accommodate nearly every décor and price range. From classic to contemporary, the possibilities are endless! Many options are available including glass color, pull mesh screen versus cabinet style screen. Door overlay designs are also available. 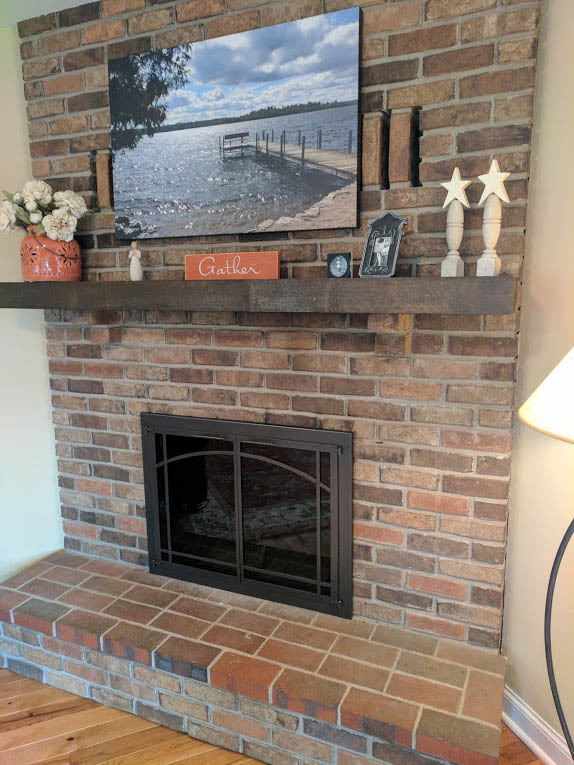 What is a Fireplace Reface? 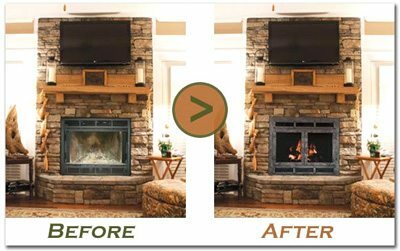 A fireplace reface is complete renovation of the look of your existing manufactured wood fireplace or direct vent gas fireplace. And often, it is a one, easy-to-install step! 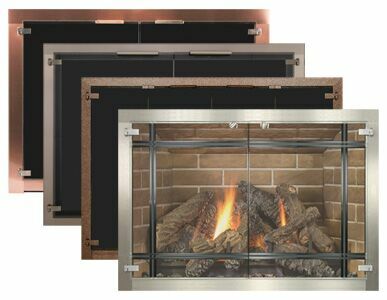 Every reface is unique; engineered to completely cover your wood or gas manufactured fireplace by custom-sizing the frame and the louvers to fit perfectly. You can design your own unique ReFace from our selection of styles, colors, finishes and options. The result will be a complete make-over that suits your taste and fits your fireplace perfectly. Our neodymium “rare earth” magnetic mounting system allows the frame to attach firmly, covering the entire face of your fireplace. It’s easy to measure and easy to install with no tools required. Best of all, ReFace doors eliminate drafts common with manufactured fireplaces and reduce up to 90% of the heat loss going up the chimney. 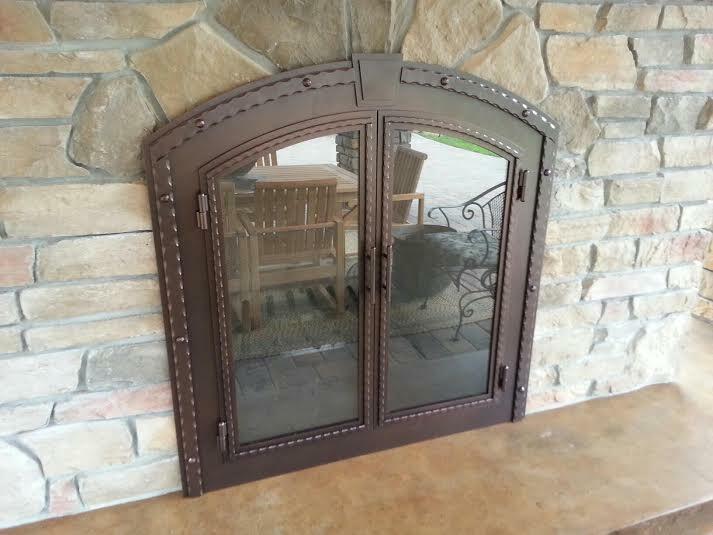 How Can I Purchase a Fireplace Door or Reface? Energy Savers carries an extensive selection of fireplace doors. We have the knowledge to help you find the best door to fit your needs. There are a myriad of styles, finishes and decorative features to choose from. Energy Savers can also measure your fireplace opening and make sure that the door is ordered and fits perfectly. Finally, our professional installers will install the door so that it operates flawlessly and looks beautiful! (Doors come with detailed instructions. Installation by a handy homeowner is also possible.) Please contact the Energy Savers showroom for assistance in choosing what is the right fit and design for your existing fireplace. 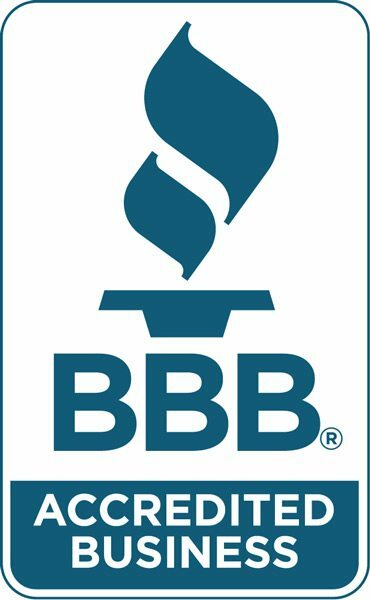 Contact Energy Savers for an in-store estimate at our showroom in Oakdale, Minnesota and to schedule your free in-home preview appointment today!